Hotel is 2 story, colonial style hotel with 117 rooms and 2 meeting rooms. Room styles include double queen, single king, business king, and 1 room and 2 room king suites. Suites come equipped with kitchenette with microwave, refrigerator and basin. Free wireless high-speed Internet. indoor pool, exercise room and free deluxe continental breakfast. Meeting rooms accommodating up to 40 people. Located on the southeast corner of the I-35/80 and Merle Hay Road intersection (exit 131). 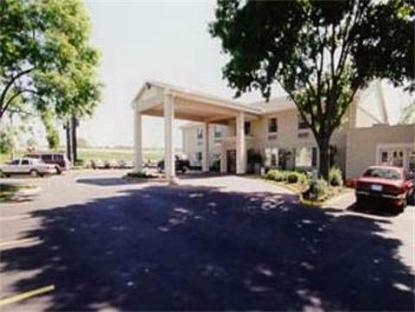 Hotel is within minutes of all popular Des Moines destinations including downtown. Iowa Events Center, state fairgrounds, Prairie Meadows Race Track/Casino, western suburban business district and Jordan Creek Mall.